A spectacular elongated sphere polished chrome frame constructed from square mesh, inset with hundreds of faceted crystal glass to form a beautiful centrepiece. Fitted with a lower glass diffuser for a softer downward light and suspended from a chrome ceiling rose by three thin wires and clear reinforced flex. The wires can be shortened at the time of installation to give you the perfect height for your ceiling. Minimum height 35cm, maximum 100cm. 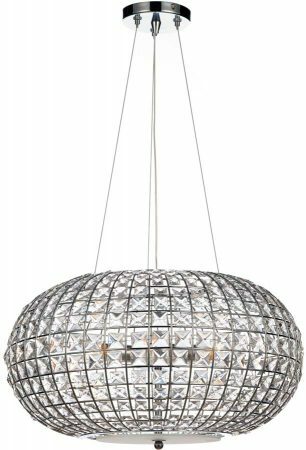 The three central lamps are encased by the circular crystal body that looks spectacular unlit but will dazzle when illuminated. 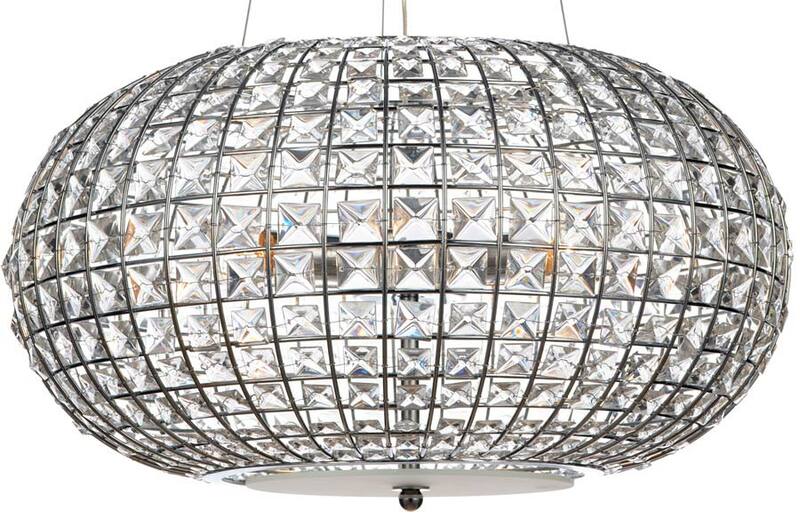 Please note that there are no other products that match the contemporary Plaza light fitting.